SEO or search engine optimization is one of the most important things that you need to take your website higher in the search engines. However, there are certain websites that remain at the same place for years, probably because they are spelled under the common SEO myths. 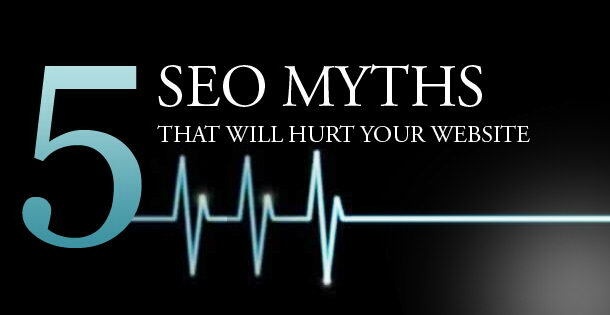 So, here are the 5 SEO Myths that you need to know before you do anything else. The content writers would know what we are talking about? Right? Well, wrong! “Keyword density matters” is just a myth that is unnecessary blown out of proportion! It matters, but only to some extent. It should not be considered a factor that can affect your ranking considerably. It is very important for the webmasters to understand that keyword density will not considerably affect your website, unless and until you are spamming the content with the keywords umpteen times. The search engines these days are aware of this density game that you play and so, they look for things beyond the keyword density. If I do SEO once, that’s all I need! Another common SEO myth that you need to know is that SEO is not a one-time job. It is not that you have spent a lot of money in SEO of your business and can sit relaxed now. Following up is really something that you cannot afford, even if you are not paying anything! Remember that your competition is not over still. You need to constantly evaluate your performance in order to pass through the competition. Therefore, SEO is an ever-evolving phenomenon that needs to be upgraded every now and then. One of the most common techniques these days is the back hat technique. But if you think that you can simply get away with black hat techniques and Google will ignore them, you are probably mistaken. Periodically, Google produces its updates that compel the black hat technique users to re-examine the ways that they have used. You can play games with the search engines, but remember that search engines are cleaver and they can catch up your trick easily. so, it does not work for a longer time! Like the keyword density, another popular SEO myth is also associated with the keywords. Meta keywords are important, but if you think this is all that you need, you are again fooling yourself! Trying to climb up with the support of Meta keywords is just so foolish and this game can be busted by the smarter search engines right away. You need to know that Meta keywords are not even found in Google’s algorithm of ranking the websites. This is a myth of the bygone era. People in the conventional times used to submit their website manually because there were no options. Now if they tell you that it is “necessary” to manually submit your website to the search engines, assume by default that they are from the conventional era. Google can find your website automatically too. With all these considerations, you will realize that there are a lot of other myths that are associated with search engines. SEO techniques should be followed after proper research and calculations. If you are the one who was hit badly by Google Panda last year, you may have taken steps to recover from the loss. But again, the search engine giant has left SEO experts, site owners and bloggers in a tough situation. This is with its latest update of Google Panda 3.4. The search engine giant confirmed that the latest Panda 3.4 has been rolled out. It is indeed the latest iteration of algorithms that is stressed upon improving and enhancing the search results through dropping the rankings of all those sites that have low quality and poor content. Even if SEO is a great way for a business to enhance its overall appeal to the search spiders, the latest practices mandate that the marketers now focus on development of only high quality and relevant content in order to drive the search traffic and rankings. The latest Google Panda 3.4 will indeed provide better ranking for the quality websites i.e. the sites that have original, fresh and quality content and the content that is well researched and properly analyzed. The update surely highlights that while some websites will go up, others will go down. So, if you too wish like having nice rankings of your site or blog, you need to focus on premium quality content so that your site gets rewarded by Google. Just like the previous Google Panda version, with the 3.4 Panda update, you still need to concentrate on ensuring that your site becomes home to unique and fresh content. You need to further ensure that you do not have any copy pasted or borrowed material from some other sources. Further, you can see to it that you try to involve as many people as you can in your site through testimonials, comments. This will bring in the real traffic and attract them to be at your site. All this is only possible when you provide them with unique content on a regular basis. Make note that the spam comments are avoided at any cost. This is so because such comments seem to be scraper for the search engine spiders and so they reduce the ranking of your site. With the latest Google Panda update, you need to be careful just like the last time and enjoy having a site that is high in search ranking. You have to follow the algorithm and see your site in flying colors. If you are looking forward to know what actually “anchor texts” are, just read on. Say you are browsing the Internet and come across the words “Spanish cooks” in blue color written somewhere. And so, when you click on the word, it takes you to some other web page or link where you get amazing details and images on the Spanish cooks. The blue colored and underlined text that links to the other page is the anchor text. 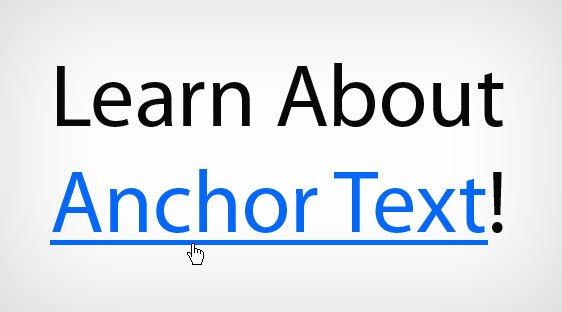 Now when you know what an anchor text is i.e. it is the text that is linked to some other web page or URL, you need to know how to best use or incorporate the anchor texts. It is good to note that various anchors from a single page do not offer much value. This means that if a page includes the anchor text “Spanish cooks” a number of times, it is not helpful. It will not add any value and so there is no reason to use the same text a number of times on the same page. So, it is better to use variation in your text. Like, you can use the anchor texts “Cooks in Spain”, “Spanish chefs” and so on. Also, multiple pages help but in case they are from same domain or URL, it is not as valuable as when they are from various domains. So, diversity of not just the anchor text is important, but even of the source is. Then, fluctuating or changing the anchor text is crucial. Like said above, it is important to have diversity in your anchor text. You can thus vary the text differently like “Spanish cooking” and more. Further, Google and Bing usually count the very first anchor text in the page. So, it’s best to incorporate the anchor text towards the start of the web page rather than in the middle or end. Even the internal anchor texts help a great deal i.e. the text which comes from your site, your site’s pages. Although there is small benefit from it, but it actually helps. You need to link in a way that the people believe that your website is amazing and so, it is great if you can work in the anchor texts well. Last but not least, even the surrounding text matters. This is important when the anchor text doesn’t have much context or value and so the search engines use the surround text. These are thus some of the points that need to be kept in mind about anchor texts and how to use them. These details will surely help you to use the anchor text properly and effectively. Not just will your readers like the linking through this way, even the search engines will smile upon your site in no time. We hope these details will not just help the newbies, but even the experienced SEOs. 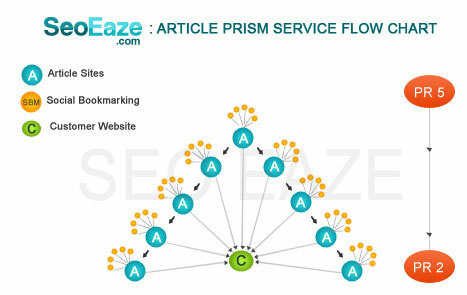 What is Article Prism Service and how it works? Article prism Service is one of best services till date to ensure high internet ranking. It connects you with the desired link to make sure that you are not valued by the number of links but also by their quality. This effective way to ensure traffic and visibility on web is taken by various experts who know how to help your business reach the top ranks in the search engine. Through SEO articles, blogs and top directory articles, the service providers build links with the help of link wheels. This method is used by SEO experts who build one way links, to give you high search rankings in various search engines. They add keyword rich articles, press releases and forum which help you walk up the ladder on the search engines. 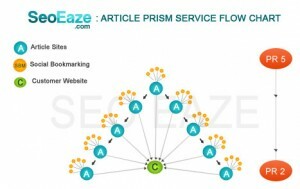 The features of article prism service are to create rich, unique articles with keywords which are submitted to top rank sites while your site is inbound link to it. Article prism service is undertaken to give quality write-ups which also have social bookmarking and they also give deep links for the inner pages of your business website. The article prism creation service includes trained and experienced professionals and search engine optimization experts which look into the selected link building process. The links which are building are quite relevant to your site and provides much- needed information to clients. These services ask your nod before the articles are submitted online. Once you approve they are sent to high- ranking sites. The link building is done one way and is bound to be permanent. It also provides deep linking services which are available in different budgets to suit your pocket. This is the most valuable technique to get you highlighted on search portals. This can be done within a short period, thus helping you gain good rank at the earliest.